What happens when you cross bumper cars with lacrosse and basketball? You get WhirlyBall, of course! It’s easily some of the most fun we’ve ever had in Seattle. When we played WhirlyBall, games lasted anywhere from 10 to 12 minutes. Depending on where you shoot from on the court, you get different sums of points for scoring. The team with the most points at the end wins. To add to the excitement, one of the WhirlyBall Seattle employees acts as the public address announcer, keeps score, and even calls penalties. 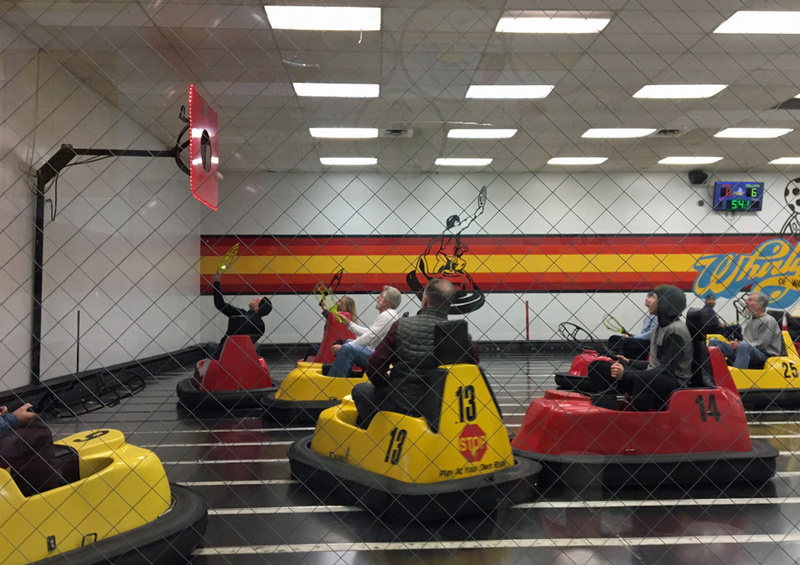 It might sound a little intense, but anyone can play WhirlyBall. In our group, we had players from 14-years-old to nearly 70-years-old. It’s fun for all ages! There’s only one place to play WhirlyBall in Seattle, and it’s aptly named WhirlyBall Seattle (although it’s actually in Edmonds). It’s the perfect place for birthday parties (that’s how we learned about it), corporate events, and family outings. I know I’ve mentioned it already but WhirlyBall is downright fun. I can’t say it enough. I’ve played twice now, and both times the group I was with wished we would have booked the court longer. Last time we played, everyone joked we were all going to come back the next day to play again. Once you try WhirlyBall, you’ll know exactly what I’m talking about. 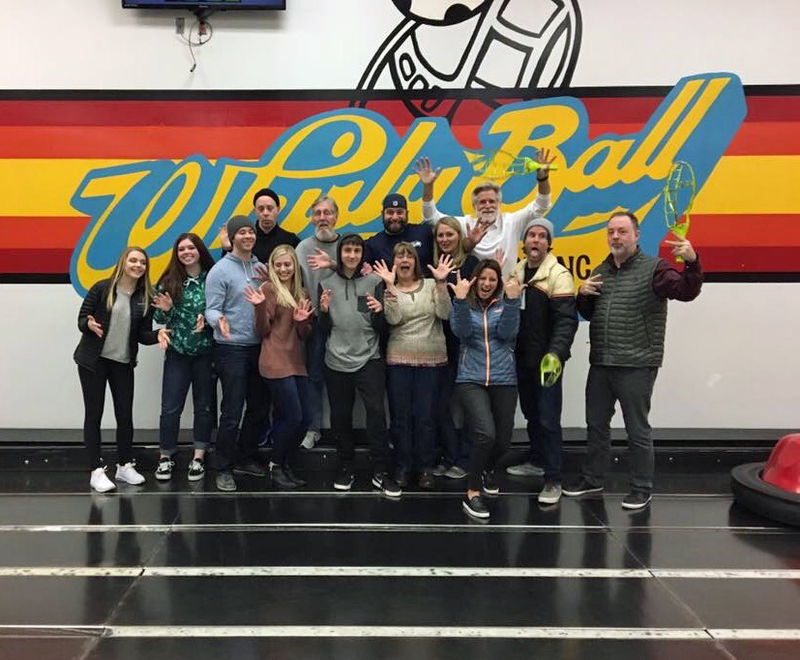 To book a court, or simply learn more about WhirlyBall, visit the WhirlyBall Seattle website. 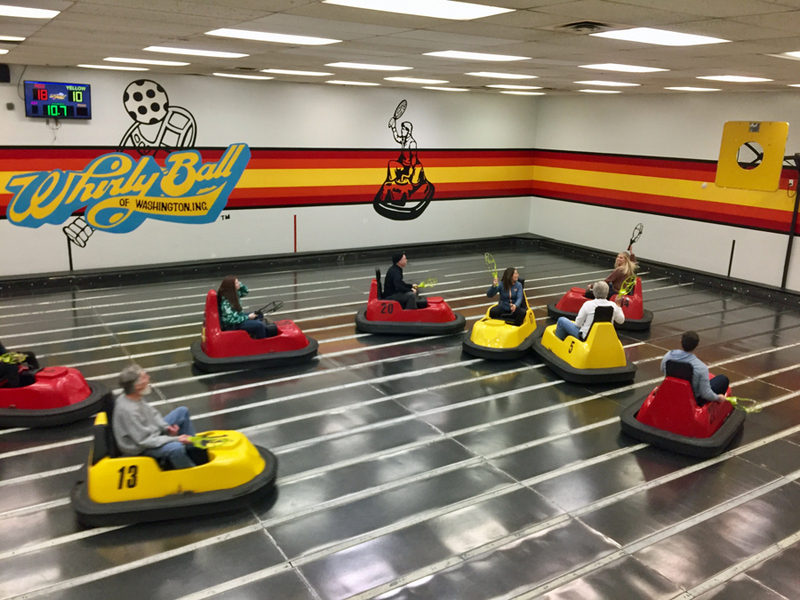 Have you ever played WhirlyBall? How was your experience? We’d love to hear from you! Please leave a comment below or connect with us on Twitter, Facebook, and/or Instagram. 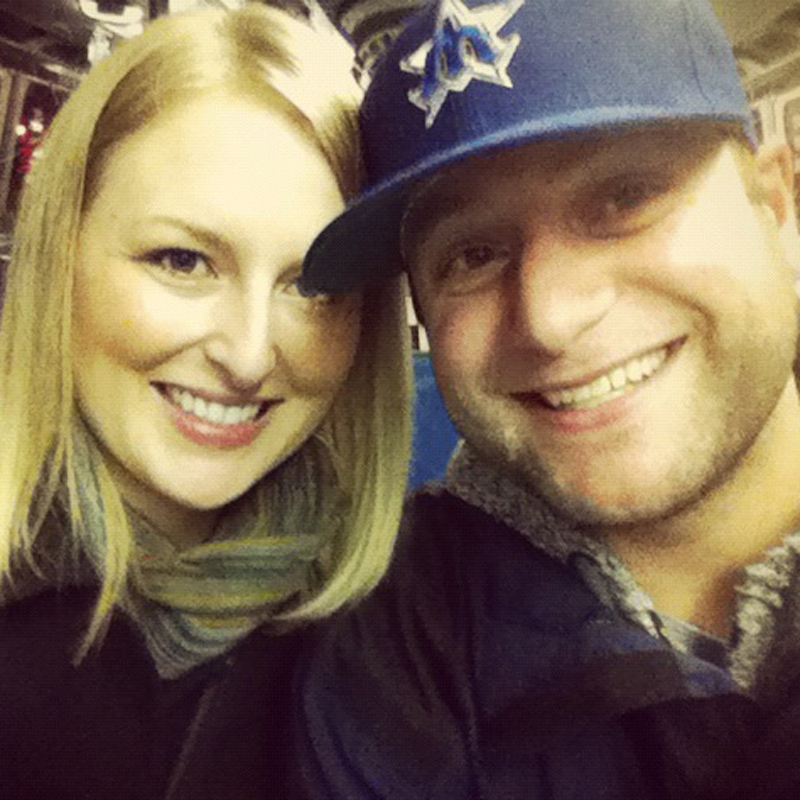 Don’t forget to also check out Seattle Bloggers for more fun adventures around the Emerald City! Try to tell me this group didn’t have fun!